A royal rumble of the biggest fandoms on the internet will be happening today! Man your battle stations, a war has broken out! But not just any old war, it’s a war of the fandoms. 5SOS, Fall Out Boy, Panic! 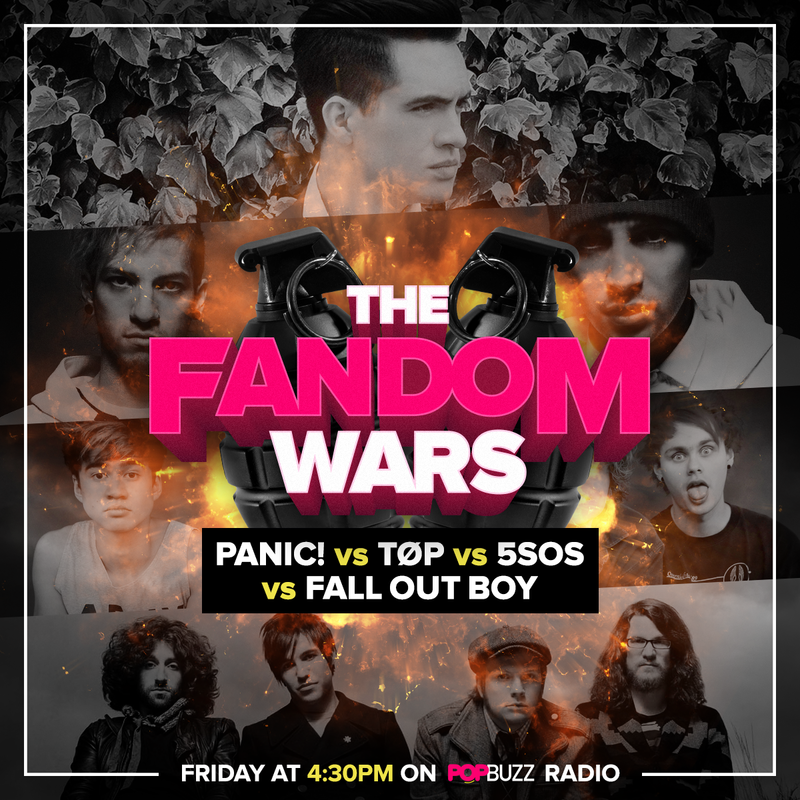 At the Disco and Twenty One Pilots are going head-to-head in a battle to the death on PopBuzz Radio. We’ll be playing their songs back-to-back a whole hour and, at the same time, if you head to the PopBuzz Facebook page, you can vote for your favourite artist and save them from annihilation during our interactive live video. Head to the PopBuzz Facebook page at 4pm(GMT) today (07/10) to watch the carnage unfold or, if you can't watch, listen to all the bangers on PopBuzz Radio. Just click 'play' at the top of the page on desktop or open it up in the PopBuzz iOS App. Stick 'em up 'cos it's gonna get ROUGH. Stick 'em up! Brendon Urie On Fans: "If You Wanna Live In 2007, Live In 2007 Bro"